Penn State and Georgia conclude their seasons Saturday in the much-anticipated TaxSlayer (formerly Gator) Bowl. The 7-5 Nittany Lions lost badly to Michigan State the last time we saw them, while 9-3 Georgia ended its season on a four-game winning streak. The TaxSlayer Bowl is the second meeting ever between the two programs. The first was the 1983 Sugar Bowl, in which Penn State won its first National Championship. This year’s iterations of the two programs are much different than those in the past, as an up-and-down Penn State team will have a new interim offensive coordinator at the helm to face off against the No. 1 passing defense in the country. Here are our staff’s predictions for the Saturday’s showdown at noon on ESPN. I’m not the biggest college football fan. Most other people on staff know more about the national game than I do. Still, I’m a huge Penn State and Big Ten fan because it’s a lot of fun and also literally my job. Down south though — is Georgia a good team? It went 9-3 in what I thought was a really tough conference, plus it has the No. 1 passing defense in the country. Why has all the research I’ve done in the last few weeks shown me that Georgia fans are completely dissatisfied with the season, and how did those accolades culminate in the firing of head coach Mark Richt? I’m not sold on the “Georgia is bad” agenda. I’d have complete faith in interim offensive coordinator Ricky Rahne if he was going up against anyone else, but I think the Bulldog’s defense will give him fits. Georgia’s rushing attack versus Penn State’s defensive line will be a thrill, and I think Hackenberg will come up huge like he did in his previous two season-closers — at Wisconsin in 2013 and the Pinstripe Bowl last year. I wouldn’t be surprised with a lot of yards, turnovers, and penalties. The latter two will counteract the first category, and I think we’re in for a close, low-scoring affair in Jacksonville. Anyway, can’t wait to check out Allen Robinson’s stomping grounds. Please god, let this season end on a high note. The over-under numbers are all over the place, and the general public doesn’t seem to have faith in the Nittany Lions winning, but that’s not stopping me from picking Penn State to win. Georgia used to be an SEC powerhouse, but it’s obvious that times have changed. Defensive genius Mark Richt got the boot, and the Bulldogs’ offense this year was sup-par due to star running back Nick Chubb sitting on the sidelines instead of living in the end zone. But that’s not what’ll give the Lions the victory. Penn State is starving for another bowl win to ensure that its program’s ugly past is officially behind it. The deflating end to the Nittany Lions’ regular season is the only thing holding back the sports world from choosing them to win, which is ridiculous due to the talent the team holds on both sides of the ball (read: Carl Nassib and Saquon Barkley). I’m not saying Penn State has this win totally in the bag, the Bulldogs still hail from the gifted SEC and they’ll push the Lions to their limit all game long. It won’t be pretty, and the Happy Valley faithful (especially me) may want to smash their TVs a couple times during the tilt, but Hack will handle adversity just as he has during his entire career and be the key to Penn State raising the TaxSlayer Bowl trophy over its heads. Plus, I’d just really want to end my senior year’s football season with a W, that’d be super cool too. 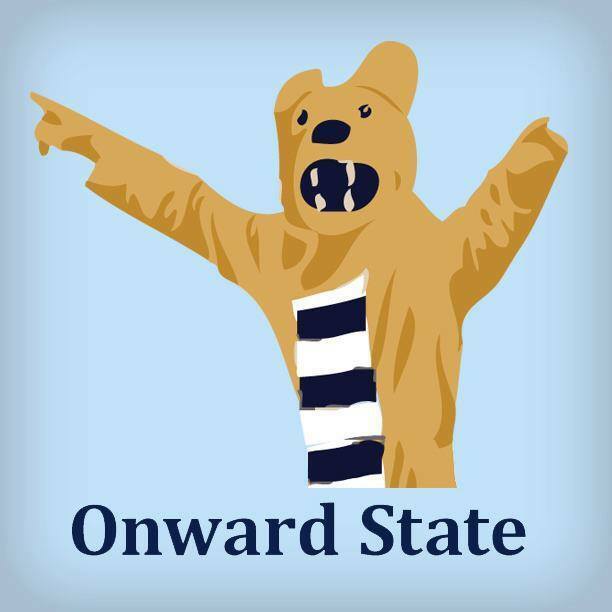 While the Bulldogs are the better team, Penn State actually has a solid shot at winning this game. Georgia doesn’t feature a mobile quarterback, something the Nittany Lions have struggled with this season. The Bulldogs will also be without stud running back Nick Chubb, who went down with a season-ending leg injury in October. Backup Sony Michel has stepped in and performed well, rushing for 1,076 yards on the year, but the drop off between him and Chubb is significant. The other big key in Penn State’s favor — nearly all of Georgia’s coaching staff has left. Head coach Mark Richt is in Miami, defensive coordinator Jeremy Pruitt (shoutout Max Lerner) is back at Alabama, while a number of other assistants have also left the program. Wide receiver coach Bryan McClendon will serve as the interim head coach Saturday, and will have a coaching staff of position coaches moving to coordinator positions and graduate assistants working as position coaches. It could cause some chaos along the Georgia sideline. So why am I going against the Nittany Lions? Simply put, Penn State just isn’t that good. James Franklin had his team playing well heading into the final stretch of the season, but the Nittany Lions limped to the finish line, ending the regular season on a three-game losing streak. As nice as it would be to see Penn State head into the offseason with the momentum of a bowl victory, that doesn’t seem to be in the cards for the Nittany Lions this year. This game will feature two very evenly matched teams coming from an average spot in two power conferences. Both the Big Ten and SEC are known for their defenses, and this game shouldn’t show anything but that. Although Georgia has struggled a lot in most facets of the game, the Bulldogs still have a defense which can cause trouble for the Nittany Lions. The Bulldogs didn’t score many points during their conference games. It’s not surprising since SEC defenses are generally some of the toughest in the nation. Greyson Lambert has taken a majority of the snaps for the Bulldogs this year, and for a conference which has produced quarterbacks such as Tim Tebow and A.J. McCarron, Lambert is far from the best the SEC has seen. He hasn’t been bad though. His 143.7 quarterback rating will show anybody how good he really is. But he’s struggled against defenses like Missouri, Alabama, and Georgia Tech. Bob Shoop should have a scheme to have Lambert struggling in the TaxSlayer Bowl. The offense is always the concern for Penn State, and it still is here. In what may be Christian Hackenberg’s final game, he knows he needs to put on a show. Georgia boasts a stingy SEC defense, similar to the ones Penn State faced in the Big Ten all year. Hopefully the Nittany Lions will find something to exploit. The pass game has worked at times against Georgia, so Hackenberg needs to be on. In the end, a win in Jacksonville looks promising for the Nittany Lions. It won’t be pretty, but then again, when has it been pretty this year? The Nittany Lions went 3-0 against interim coaches during their regular season, defeating first-gamers from Rutgers, Illinois, and Maryland. Penn State will have another chance to take down a coach in his first match at the helm against Georgia’s recently hired Kirby Smart. However, this time it won’t be as easy. The Lions will be forced to transition to a new signal-caller as well. Quarterbacks coach Ricky Rahne has took over as interim offensive coordinator for the game before the Lions fully move into the Joe Moorhead era. I wouldn’t be surprised if this move resulted in a pass-heavy play selection, allowing Christian Hackenberg to air it out in the Florida sun in potentially his final game in blue and white. But expect another offensive struggle. Georgia allows 16.9 points a game (ninth in the nation); Penn State scores only 23.7 (No. 104 in the nation). If the Lions can’t move the ball, it will be a rough debut for a new era in Penn State offensive football. In a game that will feature a rematch of the 1983 Sugar Bowl, Penn State will come out victorious once again, but it’ll be very close. The Bulldogs come into this matchup sporting one of the best defenses in all of college football, allowing only 16.9 points per game. Georgia’s run stop is weaker than its passing defense. It allows 151.9 rushing yards per game so this should be another game that Saquon Barkley shows the nation his tremendous running ability. To match Georgia’s defensive prowess, Penn State combats the Bulldogs with a strong defense of its own. Carl Nassib should be back in the lineup and he’ll be key if the Nittany Lions want to get to Greyson Lambert. It’ll all come down to who has the stronger defense. Both teams have strong defenses with average offenses, so If Penn State can’t stop Georgia’s offense then it’ll be a tough game for the Nittany Lions in the rivalry’s second game ever. Although Georgia (9-3) is preparing for an offseason overhaul after firing longtime head coach Mark Richt and bringing in former Alabama defensive coordinator Kirby Smart, the Bulldogs are still going to provide quite the test for James Franklin’s Penn State (7-5) squad. The Nittany Lions clearly have an advantage at quarterback with junior Christian Hackenberg potentially playing his last collegiate game this Saturday, but don’t underestimate the game-managing abilities of graduate transfer Greyson Lambert, who has only tossed two interceptions all season for Georgia. The most intriguing matchup, in my opinion, will take place in the backfield, with superstar-in-the-making Saquon Barkley – Penn State’s all-time leading freshman rusher – going head-to-head against sophomore Sony Michel. Michel posted 69 more rushing yards than Barkley in 2015 (1,076) and showcased nifty pass-catching skills in relief of an injured Nick Chubb on his way to 10 total touchdowns.